Gone are the times when internet was considered an unconventional marketplace. With a comparatively low entry cost, the barriers to do business online are negligible. We have startups coming up each day, trying to fight and bite the customer base of industry bigwigs. For a strong brand equity, you have to build a brand that customers have a positive perception about, that people want to come back to every time they think of buying, that they recommend and are proud to be associated with. Keller’s brand equity model is a great guide for a new comer who strives to get to the top of the pyramid. 1st Step: Brand Identity- Who you are? The first step is to create an identity for your brand, something that people understand and recognize clearly out of the host of options available. It is not solely based on recognition of your company’s name and logo but also about truly understanding what your brand stands for and how it satisfies your customer’s needs. Flickr is reported to be hosting billions of images. Flickr wants to help its users make their photos available to the people who matter to them. They strive to be the best online photo and video management application. YouTube has built a platform for people to discover, watch and share videos that they have originally created. It is a forum for people to connect and distribute original content and advertisements. The major reason behind Flickr and YouTube’s success is that they are well aware about who their customers are, what their unique needs are and how they can satisfy these needs. 2nd Step: Brand Meaning- What you are? The next building block of the model is aimed at identifying what your brand stands for and communicate the same to target audience. This stands on the two pillars of ‘performance’ and ‘imagery’. Performance refers to how well your offering ranks on the parameters of facilities provided, quality of services, website usability, reliability of information provided and conformance to specifications with respect to customer expectations. Flipkart is well aware that there is enough competition in its sector. Thus it correctly identifies its customers’ needs and provides options like COD, free shipping to even tier 2 cities of India, user reviews and excellent after sales services. Brand Imagery means how well your brand is able to provide social and psychological satisfaction to your customers. How well you can position yourself as a socially reputed, responsible and respectable brand that people want to be associated with. These needs could be satisfied directly by your offering or indirectly by the kind of CSR activities you associate yourself with. 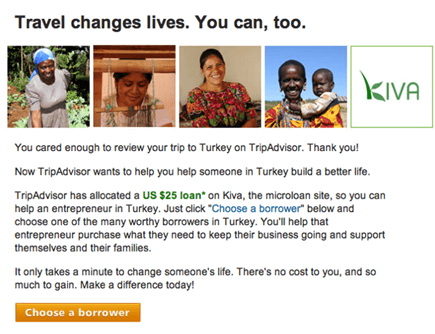 TripAdvisor, which is the world’s largest travel website, has a unique partnership with Kiva (the world’s first micro lending platform). It connects travelers from the TripAdvisor community with Kiva borrowers in countries the travelers have visited. 3rd Step: Brand Response – Opinion of target audience? In today’s industry, your brand is constantly being judged and compared by your customers to others on the parameters of quality, credibility and superiority. Dig deep into customer reviews, feedbacks and testimonials to find out areas of improvement. 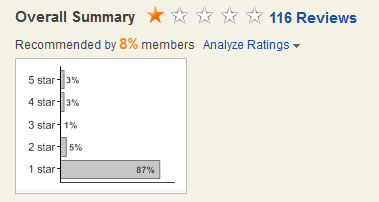 Following are the user reviews of 112 customers of Expedia.com: an online travel company, as per the user review forum, Mouthshut.com. Brand response also takes into consideration the feelings that your brand evokes. 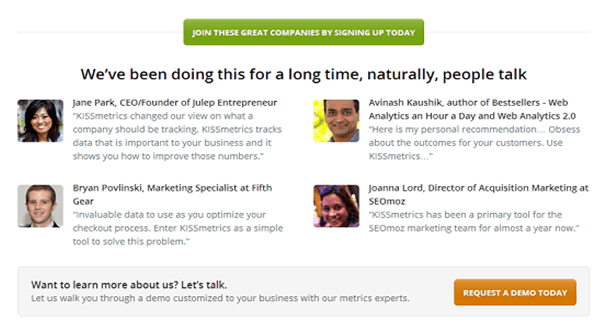 KISSmetrics uses testimonials to boost sales by posting positive reviews of satisfied and delighted customers along with the pricing details. 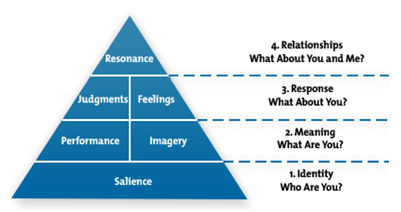 4th Step: Brand Resonance – Degree of Connection with audience? This is the top of the pyramid and thus the most difficult to achieve. This happens when your customers feel a deep psychological bond with your brand. Your customers become regular buyers, they look forward to transact with you and are actively engaged even if they are not buying. This is possible by trying to involve your customers through discussion forums, blogs, events, and loyalty programs. So, it is no longer about how long you have been in the industry. It’s about how you do it. Even the big players are losing the market to new entrants coming with a well thought out strategy. In case you are looking for similar long term presence for your dream website, then, it would be best to plan your way to perfection. Get in touch with our development and marketing experts to discuss your website idea and learn how we create global brands on everyday basis. Posted in Design & Dev, eCommerce and tagged as Keller’s theory, brand equity pyramid by FATbit Chef. Nice source to know how a Brand is build in online world and impact of online image on real business…. The article rightly proves that any offline marketing theory can apply to online marketing as well. Thanks for posting a different perspective. A great source of learning. Keep up the good work! Brands listed above are masters in their field, They all are in a big sea of competition but still uniquely identified. These Brands are a great source of inspiration….. Awesome Stuff, thumbs up for your writing and research ability. If you are planning to start an online business, then, Keller’s model can help you get the initial steps right. If you already have a website, it can make you aware about the things that went wrong. It has almost everything you need to get the branding right. Thank you FATbit for another great post!